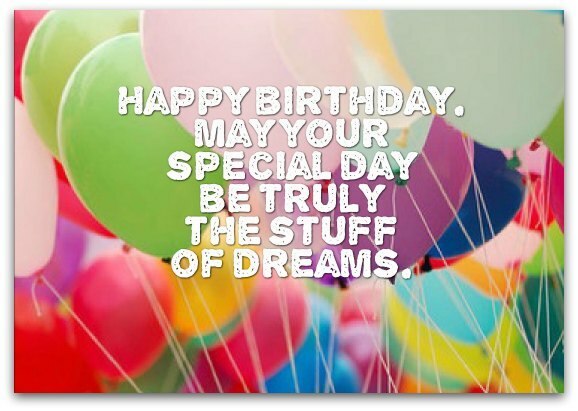 Happy birthday wishes, when done well, make all the difference — between an "okay" birthday and a "special" birthday. Generic "happy birthday" greetings, like the kind you see almost everywhere online, are unoriginal and should be ignored. That's not the type of "happy" wishes you want to send friends and family. You'd probably like the sort of birthday messages that express what you want to say in a way that's not too inspirational, not too cute, not too sentimental and not too "happy." In other words, you may need a birthday verse that combines all four of these attributes — just like the birthday messages on this page. See for yourself right below. A few helpful hints could go a long way toward finding the perfect birthday greeting for your special someone. 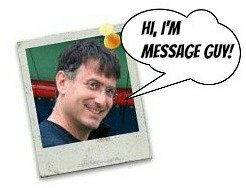 Glance at Message Guy's tips and you'll be on your way to choosing the best happy birthday message. Happy birthday! You deserve to have a special day — at least once a year. Happy birthday! You aren't getting older. You're getting more seasoned — "Brad Pitt" seasoned. There’s nothing wrong with you. In fact, the older you get, the righter you become to me. You always look your best. And with each passing year, you just look better and better. Happy birthday! Hope your birthday this year is unforgettable in every way...in other words, as unforgettable as you. Happy birthday! May your dreams, no matter how wild, come to pass during your lifetime. We all deserve a little magic, especially you. Wishing you an incredibly happy and 100% unforgettable birthday! Wishing my best friend in the world "happy birthday" and the best the world has to offer! The more birthday candles on your cake, the more birthday wishes you get. That just makes your "happy birthday" happier! ...to a whole new level, which will very likely lift the spirits of the recipient of this birthday greeting 25 miles high. That's pretty admirable for a message that's only 25 words long. If I had three wishes, I wouldn't ask for happiness, health and riches. I have all those things and more because of you! Happy birthday! Wishing you everything you need and anything you want on your birthday...and every unbirthday. Hope you have miles and miles of smiles on your birthday and down the road. If it's at all possible, I wish you better than the best on your birthday. 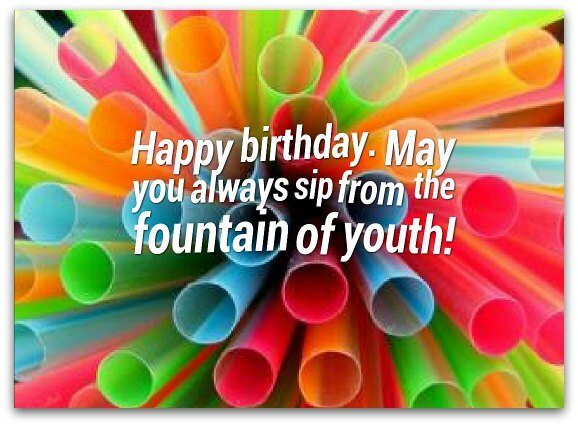 May your biggest and boldest birthday wishes come true today and all your tomorrows! Soak up every ounce of fun and excitement you can squeeze out of your birthday. That's what they're for. Wishing you all beautiful things great and small — and everything in-between — on your birthday and every day.